I enjoy discovering new plants in our yard. Since we purchased this property 12+ years ago, the diversity of plant life has noticably increased. This is partly due to our not using herbicides and just letting nature do its thing. This has a generally positive consequence, with native species gaining a new foothold on our property. For instance, Impatiens capensis (Spotted Touch-Me-Not, Spotted Jewelweed) has spread from no plants when we first moved in to hundreds of plants spread across the property. Unfortunately, we have encountered our share of invasive species. Some, like buckthorn, are fairly well known while others, such as Garlic Mustard (Alliaria petiolata), are not as well known by the general public. 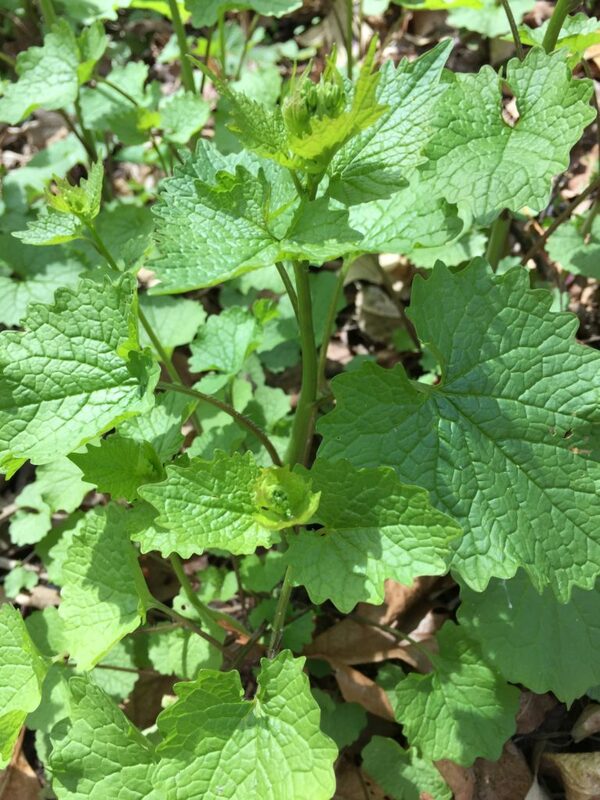 I first learned that Garlic Mustard is an invasive species when I posted pictures of it to my Facebook page, asking others if they knew what the plant was. To my chagrin, my friend Jeffery F. identified it as Garlic Mustard (Alliaria petiolata). 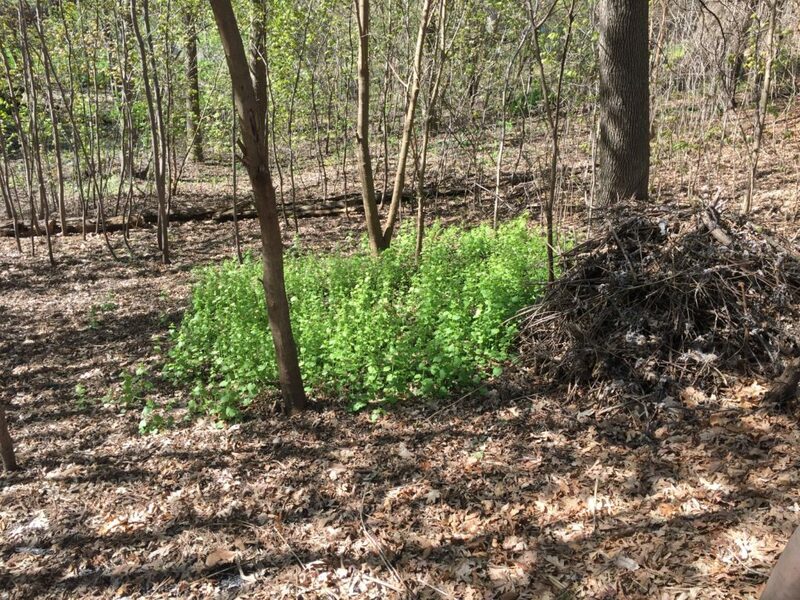 Garlic Mustard (Alliaria petiolata) is a noxious weed (illegal to transport off of your property) and takes over forest floors, killing all plants around it with the chemicals it excretes (allelopathic plant) and outcompetes all the native plants and tree seedlings as well. 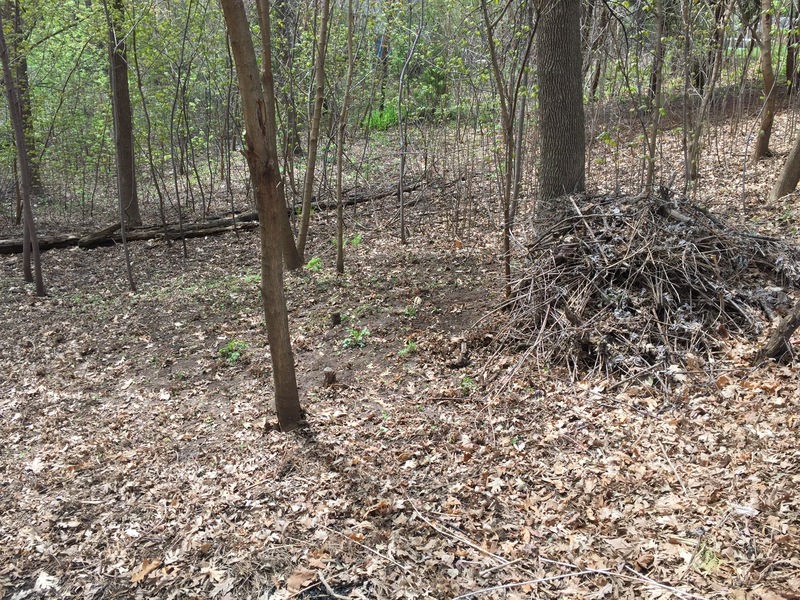 I swung into action the following weekend and removed all Garlic Mustard I could find on our property. I knew I had to act quickly because it would soon be flowering. Mustard plants produce hundreds of seeds and, if I waited, I ran the risk of spreading the seeds all over our yard. 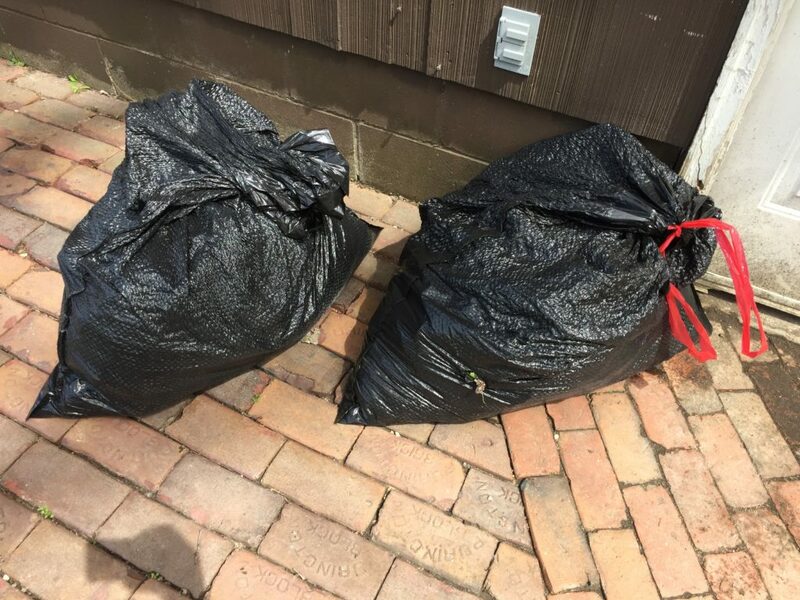 I filled two bags with garlic mustard plants. Since that day in late April, I have checked periodically for any plants I may have missed. So far, it appears I got all of them.